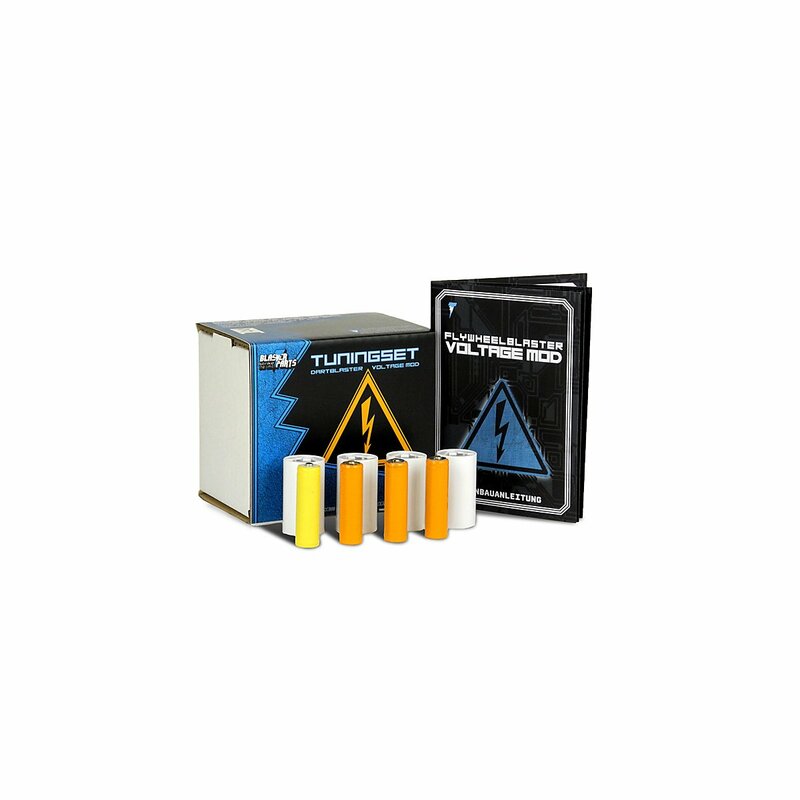 Modification Kit for Nerf N-Strike Elite Rapidstrike (Voltage Mod) containing rechargeable batteries and dummy-battery. The kit includes 3 unprotected Li-Ion cells and one dummy-battery. This set can simply be used in your blaster by changing the batteries. It raises the Voltage from 6V to 11,1V. This speeds up the Flywheels, which in turn accelerates the darts to higher speeds and higher ranges. 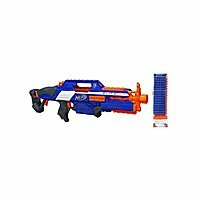 This kit fits into both versions of the Nerf N-Strike Elite Rapidstrike: The XD-version and the non-XD-version. Note: Our modification products are no toys. Not suitable for children! 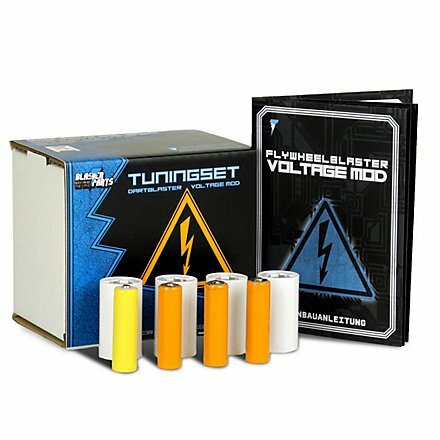 The installation of the mod kit causes a significant increase in performance. When playing with other people appropriate eye-protection-goggles should be worn as a precaution. Do not aim at face or eyes of other people.